With stunning beaches and vibrant rainforests, exploring the Gold Coast in Australia is an experience that’s not to be missed. Whether you stay in town or venture outside, you’ll find so many places in the region that offer unforgettable adventures. With a few local driving lessons Gold Coast travel can be better than you ever imagined. With some knowledge of the Australian road, you can travel outside the city center to some spectacular spots. 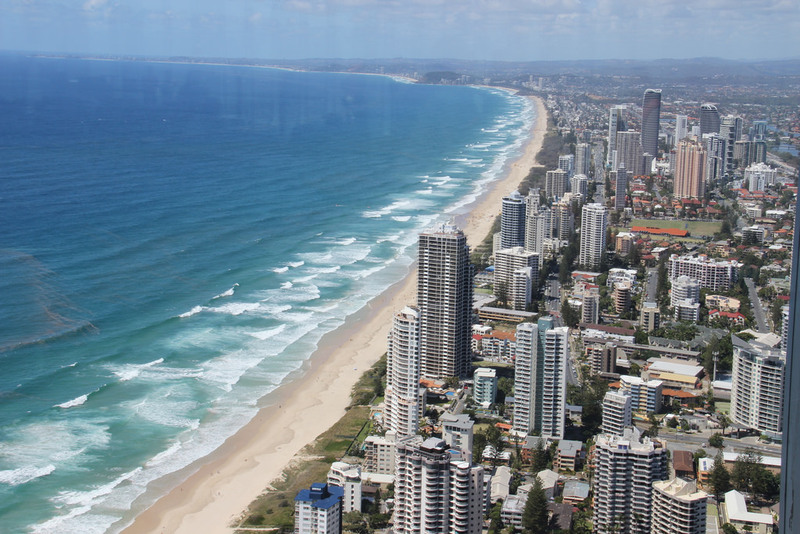 These seven are just a few that you can’t miss while at the Gold Coast. Located about a half hour from the city in Currumbin Valley, this outdoor spot isn’t overpopulated by tourists. Created by a natural creek, these rock pools are a refreshing way to spend a hot afternoon. While the beach is always enjoyable, the Currumbin Rock Pools offer a way to explore a different type of nature. The cold water is great for a swim—if you’re brave. Swinging ropes and rock ledges are the ideal ways to soar into the creek. If you’re not feeling brave, lounging on the rocks is always fun as well. This national park lies in the McPherson Range, offering a chance to really explore the Great Outdoors. The extensive trails traverse the park’s forests, taking travelers past trickling creeks and impressive waterfalls. The high altitude also offers views of the Gold Coast, which is roughly an hour northeast. Aside from the waterfalls and stunning views, part of Lamington National Park belongs to the Gondwana Rainforests of Australia World Heritage Area. With these temperate rainforests, it’s easy to find endless species of animals—especially if you camp nearby. The experiences to be had at the Currumbin Wildlife Sanctuary are unrivaled. Located near the aforementioned rock pools, the area is littered with fun activities, but this zoological site has some unique elements. The park is obviously centered on wildlife so take part in experiences like koala hugs, crocodile or kangaroo feedings and meetings with the sanctuary’s brush tail possum. Beyond that, their exciting Tree Top Challenge offers 11 zipline adventures—over the enclosures of crocodiles, Tasmanian devils and more. The Segway Safari will take guests through the massive park as well. Located not too far from the other national park on our list, Springbrook National Park stands out for from Lamington for a few different reasons. While there are four different sections of the park, there is one in particular that shines—literally. The Natural Bridge region is gorgeous by day, with a rock formation that resembles an actual stone bridge. It also features the breathtaking double waterfall, Twin Falls. But the real appeal of the area is the glowworms that live within the caves below. Thousands of blue-green lights dance on their roof, producing an unbelievable sight. For those that aren’t big outdoor enthusiasts, the Infinity Attraction offers a little bit of big city fun. It consists of 20 different environments that feature futuristic journeys. We’re talking special effects, aromas, sound fields and incredible illusions. The interactive experience is open to all ages and provides a unique experience that can be fun to share with friends and family back home. The rainforest canopies of nearby Tamborine Mountain are perfect for active outdoor exploration, and Tamborine Mountain Rainforest Skywalk makes it easy. The skywalk takes roughly 45 minutes to complete, if completed at a leisurely pace. A combination of trails that traverse the forest floor, steel bridges up in the canopies and a special cantilever bridge fill the park. There are no guides, making it easy for you to enjoy the experience at your own pace. Expect to see a large variety of the country’s flora and fauna here. After all of the time spent swimming, hiking and wandering up in the rainforest’s trees, a trip to a spa is just the ticket. Relax your overworked muscles and unwind at one of the region’s best day spas. Their treatments consist of a variety of massages—body, head, hands and feet, couples and more. There is also a steam room, special pregnancy treatments and group bookings. Once you’ve found your zen, consider picking up some additional products from the spa’s shop for continued relaxation. This entry was posted in Sponsored Post on April 9, 2017 by Amélie.